The SAV Set has all the tone, clarity, and responsiveness players demand in a single coil guitar pickup with a vintage look enthusiasts will love. Although similar to the SV, the SAV Set uses flat Alnico V pole pieces. This makes the SAV Set more balanced (string to string) for newer instruments designed with a flatter fretboard radius. The tone of the SAV is modeled after the early Strat™ pickups, giving players that familiar "quack" and punch. This marriage of vintage design and state of the art electronics gives the SAV Set a much smoother tonal response when played clean or with overdrive. 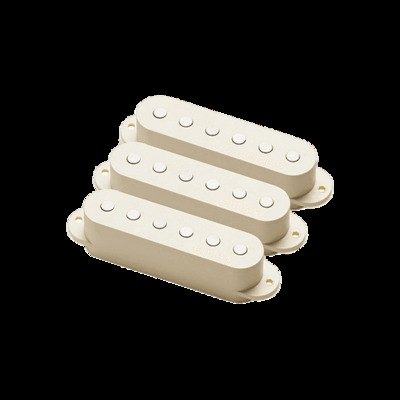 If you're looking for quiet single coil pickups with a vintage look and sound, the SAV Set is a perfect choice.